I had a great idea when I was browsing the seed aisle. Now that I live with a cat, I thought it would be a good idea to try growing it some treats. Similar to how I grew microgreens for a bearded dragon. 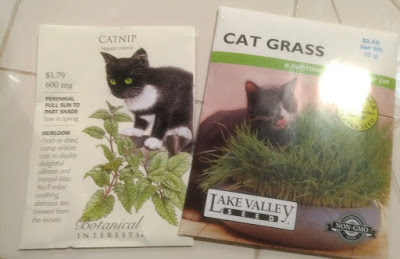 I picked up some Cat Grass and Cat Nip seeds and planted them. 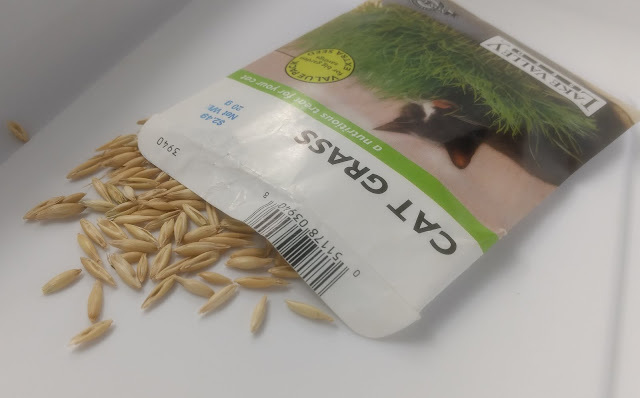 Growing Cat Grass is simple. I filled one of my 4in pots with some seed starting mix, layered the seed across the top, and lightly covered it with more soil. I started two containers to alternate between them for the cat. The grass sprouted after a few days left outside in the sun. Soon the grass was tall enough for use. 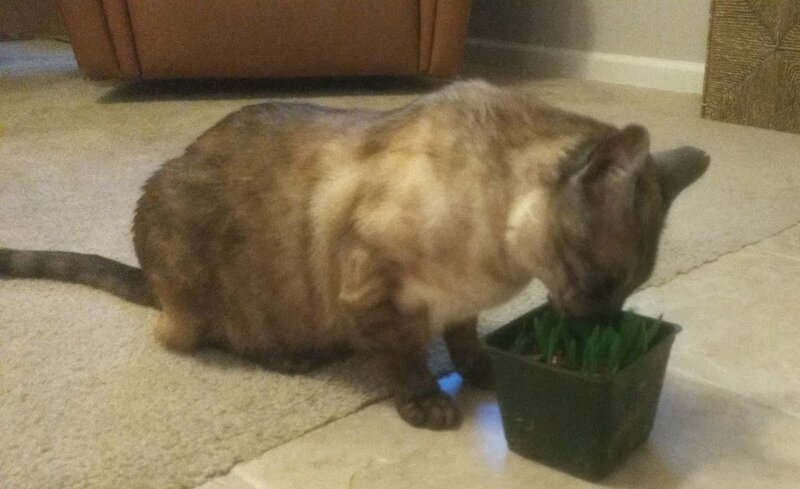 The moment I brought the grass inside, the cat instantly went over and started munching on it. Success!